[:"blue"]Somehow Illinois has been deleted from this thread. It's possible it happened the other night when we went down. Hopefully, everyone will find their way back and repost. C'mon you Illini! Lets get this thread back up again! John, Monica, and the "Mini Roo Croo" are here from Mattoon. I really was wondering what happened to it. I know there's more than this few of us Illini here!!! Let's get back to where we were!!!!! here here! Addison IL! Good to see u back John. Come on all you people from Illinois, Speak Up!! [:"blue"] <img src="/ubbthreads/images/graemlins/muchlove.gif" alt="" /> My name is Dawnna. Hello from the corn fields of central Illinois! SW of Springfield here. Hello from Chicago! 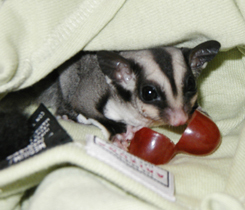 I used to be a member of this forum long time ago and am just now getting back into gliders and decided I should start posting <img src="/ubbthreads/images/graemlins/wink.gif" alt="" /> . So <img src="/ubbthreads/images/graemlins/wave.gif" alt="" /> to everyone from this great big city! Hey Hey Illinois....far western suburb here, Carol Stream <img src="/ubbthreads/images/graemlins/smile.gif" alt="" />! <img src="/ubbthreads/images/graemlins/wave.gif" alt="" /> Ooo...pick me, pick me! I'm in Illinois too! SW Burbs of Chicago here....Orland Park area. Last edited by joanne; 05/23/04 08:58 PM. Danielle, Ken, and their kids are here in ROck Falls, IL. Small town about one and a half hours SW from Rockford, IL. Just wondering if anyone in Illinois can recommend a vet in the SW suburbs (Orland area preferably). I don't need one yet, but I want to have one in the area just in case (God forbid) I should need one for one of my little babies. I have seen postings for several on the North side and in the Western burbs, but looking for one a little closer to home. Would hate to travel too far in an emergency. StitchsMom, I know there are a couple of glider owners down there. I know there's one in Collinsville, and another in O'Fallon. St. Louis isn't that far away, and there are at least 2 that I know of there (and another 1 or 2 out in the 'burbs). Rowdy himself came from Caseyville. OOPS almost forgot, Dawn here from Palos Hills IL, a south suburb of Chicago. HI ALL!!!! Thank you so much, Dawn! I will definitly PM you for more info. Don't forget to count us in: Chris (Glidrz5) and the flying fuzzies (Sassy, Nicky, Sydney & Seamore) of Quincy IL. My Angels: You are always in my heart. SIR, Yes, SIR, Drill Sargent Sir, Andrej and Athena, from Skokie Illinois, REPORTING IN Drill Sargent SIR. Just another IL person chiming in late. Newbie here located in little ole Arthur, IL in the heart of the amishland. 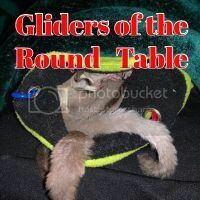 We travel to Edwardsville every Thanksgiving, and always find a day that weekend to visit with some glider friends in/near St. Louis...hopefully it can be a bigger "get together" this year! I live in Orland park IL :O just thought I sould add.